Live and breathe broadcasting? Love the dynamics of a challenging industry? Crave to make a difference? We are on the lookout for highly qualified and ambitious individuals to further spearhead and revolutionise the Malaysian media. 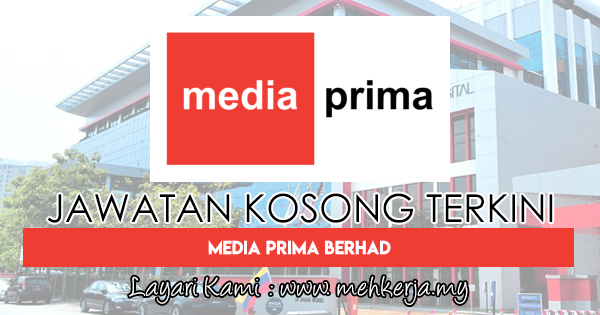 Come be a part of Media Prima Berhad, the country’s leading media investment group and join us in striving for greater heights of excellence. 0 Response to "Jawatan Kosong Terkini di Media Prima Berhad - 23 Aug 2018"